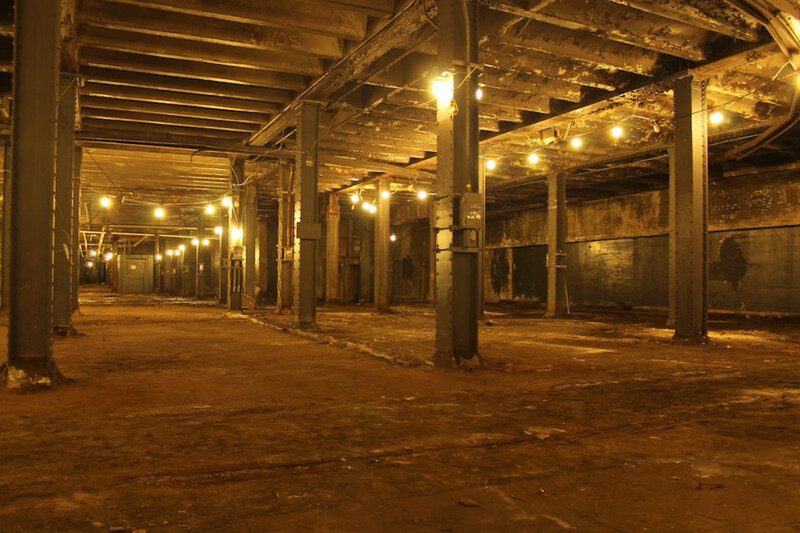 Amid an abandoned indoor market in Manhattan&apos;s Lower East Side, a tree frog has gone missing. This isn&apos;t the amphibian&apos;s natural habitat, of course; a few days ago, it was introduced to the LowLine Lab as one of the many experiments taking place in the solar-powered botanical garden-come-laboratory over the next few months. James Ramsey and Daniel Barasch, the co-founders of the LowLine, don&apos;t seem too concerned about the frog&apos;s whereabouts; they think they might be able to track it through social media when members of the public are invited into the space a few days later. Ramsey and Barasch are seven years into their journey to open a solar-powered underground park by 2020. If they succeed, their project will be the first of its kind, and will likely transform the neighborhood. There is, of course, also a stark possibility they won&apos;t pull it off, which is a concern that Barasch admits regularly crosses his mind. But should they succeed, their science fiction-like creation will push the boundaries of science, technology, and urban space—and could, in the process, speed up gentrification in the area. Ramsey, who has stopped by from his nearby office, entreats me to take a stroll through the LowLine Lab&apos;s canyon—a walkway created out of wood that is based on Arizona&apos;s Antelope Canyon, complete with its own "mystical" cave. He imagines this will be a popular hideout space for visiting children. A former NASA engineer, Ramsey now runs the design and architecture firm RAAD. He first developed the idea for the LowLine in 2008, after learning about the now-abandoned Williamsburg Bridge underground trolley terminal from a former Metropolitan Transport Authority engineer. Ramsey saw an opportunity in the football field-sized terminal, which had sat unused since 1948. In a densely packed neighborhood crying out for more parks, Ramsey partnered with Barasch, who at the time was working to bring pieces of art into the subway system. The pair embarked on a crazy vision: creating a new kind of public space using solar technology and design, enabling plants and trees to grow underground, for the community to enjoy in an area where there isn&apos;t much green space. "There is almost something Mesoamerican or Aztec or Egyptian about this." The concept for an underground park was first unveiled to the public in 2012, when the team hosted an event called "Imagine the LowLine" where they showcased the sort of solar technology that would be require to grow plants underground. The event, which was funded through Kickstarter and corporate sponsorship, attracted a lot of media attention, and helped to shore up a community of supporters for the project. Earlier this year the LowLine team ran a second successful Kickstarter campaign, raising just under a quarter of a million dollars from almost 3,000 backers. 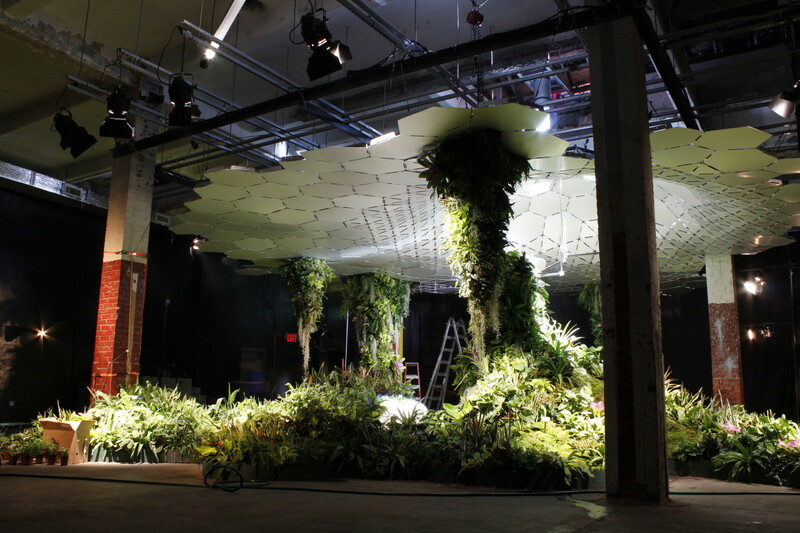 The new funds mean the team has been able to build the LowLine Lab—basically a small-scale mock-up—so the public and potential investors will be able to see what the LowLine park would look like. 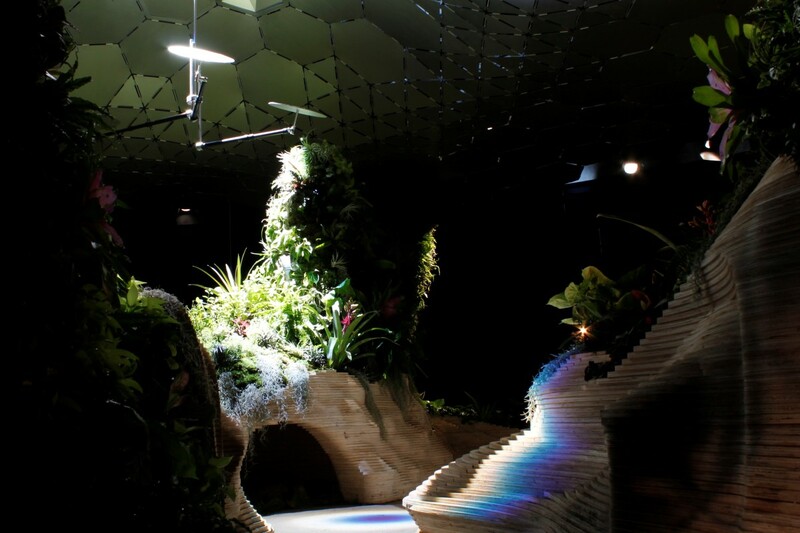 Inside the raw, dark space of the LowLine Lab, solar light captured from the roof illuminates the sculpted flowerbeds and hanging stalagmite structures, creating an eye-popping array of colorful flora and dramatic silhouettes. Overhead is a light-diffusing canopy comprised of hexagonal aluminum plates—a design taken from the James Webb space telescope. One of the lenses casts a spectral rainbow, which is an unexpected design quirk. "We like it" says Ramsey, who designed the technology. "It makes for great Instagram posts." Pipes fitted with reflectors run along the ceiling, transporting the sunlight into the interior of the lab; the "weird cosmic alignment of the concentrated sun piping through everything" reminds Ramsey of a cartoon he watched as a child, Mysterious Cities of Gold. "There is almost something Mesoamerican or Aztec or Egyptian about this," he says. There are 60 species of plants growing in the LowLine Lab, similar to the flora of Melbourne or Cape Town, whose climate the space resembles. Because the LowLine will be protected from New York&apos;s weather extremities, it is kept cool and temperate, like a wine cellar. The team is also experimenting with growing food; among the foliage are a couple of pineapples, strawberries, thyme, and mint, as well as some hidden mushrooms. Growing food is one of the many positive social impacts the co-founders hope the project will generate. They don&apos;t see the LowLine as only a technological feat; they envision it as a recreational and cultural space, where residents can escape the hazardous traffic of Delancey Street above. As one of the city&apos;s oldest neighborhoods, the Lower East Side has always been in a state of flux, where the old and new exist, cheek-by-jowl. Since the mid-19th century, the area has been largely working-class, serving as both a stop-off point for waves of immigrants and a major shopping and industrial hub. In the 1970s the area was badly afflicted by blight, becoming a hotspot for drugs and crime. A community-led revival, which included a guerrilla gardening movement, helped restore the neighborhood. Gentrification began in the 1980s, and today the area is full of high-end bars and restaurants, trendy boutiques and galleries, alongside mom-and-pop businesses, some of which have been around for almost 100 years, as well as many vacant stores and lots. Annie Polland, senior vice president of education and programming at the Tenement Museum—a local tourist attraction that examines the immigrant history of the Lower East Side—doesn&apos;t think the LowLine alone will accelerate the gentrification in the area. "Change and construction have always been part of the Lower East Side&apos;s history," she tells me. In cities around the world, large-scale urban greening re-use and restoration projects are becoming increasingly popular. Plenty of research points to the positive environmental, social, and public health benefits these projects bring. But there are also unfortunate and unintended consequences—namely, that by making an area more attractive and livable, these projects also drive up property prices, in turn displacing existing communities and businesses. 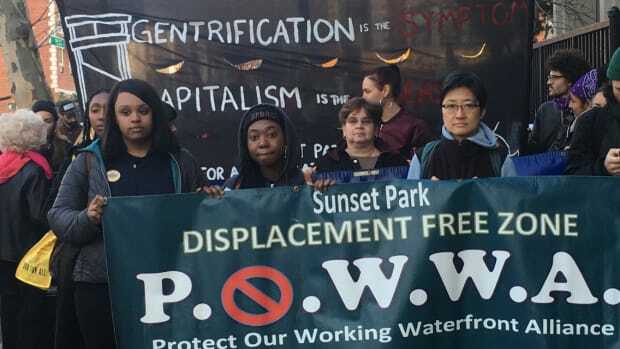 It&apos;s a phenomenon that&apos;s become known as environmental gentrification. "For a long time, we were worried about the unjust and uneven distribution of greenery in cities—and it is still true in more disadvantaged neighborhoods," says Timothy Beatly, an urban planning professor at the University of Virginia. "What&apos;s new about the discussion is the very recognition that those investments in nature could ultimately serve to displace people from them." Across town, the High Line, the famous disused-railway-line-turned-elevated-park, has become the de facto case study in environmental gentrification. The beautiful park—which opened in 2006—has become one of the city&apos;s major tourist attractions. 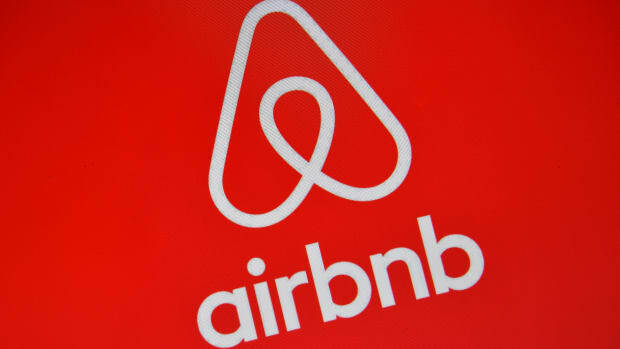 Almost five million people visited it last year alone, and cities around the world, including Rotterdam, London, and Mexico City, are creating their own versions. 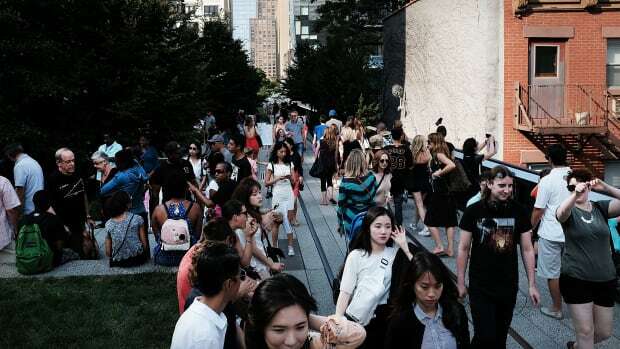 Many critics argue that the High Line has become a victim of its own success. High-rise condos, designer boutiques, and art galleries have transformed the previously working-class area of West Chelsea into a high-end neighborhood. 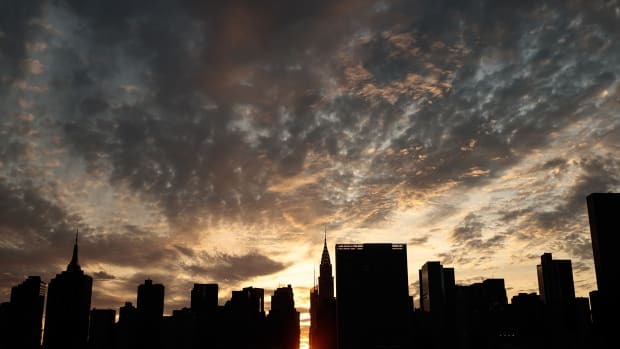 Rents have sky-rocketed—increasing 103 percent between 2003 and 2011, according to a study by the New York City Economic Development Corporation. As a result, many local communities and businesses have been displaced. In a 2012 New York Times op-ed, local history blogger Jeremiah Moss lamented that the development is "another chapter in the story of New York City&apos;s transformation into Disney World." But this doesn&apos;t mean that cities should just avoid these sorts of greening projects entirely. All communities deserve the right to green spaces, especially those in lower-income areas where there is less access to services and amenities, so there is a fine balance that must be struck, says Jennifer Wolch, dean of the College of Environmental Design at the University of California–Berkeley. Sustainable urban development projects must take into consideration the needs of everyone in the community, she says, looking at the ability to access affordable housing, job opportunities, and transport. "We are not going to solve or create any of those macroeconomic dynamics. What we are doing is building a space that the community feels rooted and connected to." "Cities change, neighborhoods change, communities change; you don&apos;t want everything frozen in time and space. But some of these projects, in a certain type of market like we are in right now, can trigger things that can happen so fast, there is no adjustment period," Wolch says. "There is no time for the city to build more affordable housing units, so you get into these real binds." She argues that the "just green enough" approach, which favors small-scale greening projects, like community gardens that benefit existing communities—such as the Newtown Creek Nature Walk in Brooklyn—rather than market-driven concepts that attract new populations, is the way to mitigate residential segregation. As well as putting effort into community engagement, funding for the project will be a major focus for the team. Barasch says they have raised millions of dollars so far—through donations, Kickstarter campaigns, and corporate partnerships—like the one with Absolut Vodka. As a non-profit, they plan to keep the LowLine free to the public, and need about $70 million to complete the project, which will consist mostly of private funding. Wolch says its important to consider the motives that private investors might have in this project. "It&apos;s going to be people who think it&apos;s a cool idea," she says, "but it&apos;s also going to be people who think that if that goes in, the value of the property I own will be worth way more money." She says that cash-strapped cities often welcome these sorts of projects because they attract wealthier populations, who often take care of the parks. But she says this "privatization of responsibility," which could lead to a reliance on developers for financial support, means the city has less control over the outcome of the projects: "That&apos;s the conundrum." Beatly, the University of Virginia professor, adds that cities should create more de-centralized small-scale greening projects across neighborhoods, which could actually support the larger ones like the High Line or the LowLine, turning cities into a network of green spaces, as seen in places like Bogotá and Singapore. "Nature is not something optional," Beatly says. "It&apos;s essential for living a happy, healthy, meaningful life. It has to be something all around us, and not just something you experience on a vacation." The LowLine has the opportunity to address these issues, Barasch says. New York is very different from when the co-founders of the High Line (who serve on the advisory board of the LowLine) began work on their project in 1999, he points out. What sets the LowLine apart from other urban greening and design projects around the world is its "bottom-up, grassroots approach," he argues. "We aren&apos;t just designing a beautiful space, but something that the community actually wants." Barasch says the team has engaged with community leaders of all ages—Wellington Chen from the Chinatown Partnership and Tim Laughlin from the Lower East Side Business Improvement District are on the advisory board—and local businesses are supportive of the project, standing to benefit from increased footfall. "We are not going to solve or create any of those macroeconomic dynamics," Barasch says. "What we are doing is building a beautiful and hopefully inspiring space that the community feels rooted and connected to." There is, of course, a level of political play involved with the project. The trolley terminal is owned by the city, and leased by the Metropolitan Transport Authority, so before construction begins on the LowLine, both bodies must come to the table. Given the current state of the city&apos;s subway system, and the time it has taken to agree on much-needed funds for improvement, it&apos;s likely there will be at least some degree of bureaucratic toil ahead. Barasch says the city and MTA have indicated a willingness to work together, and have had a few "positive conversations" to date, with support from New York City&apos;s deputy mayor for housing and economic development, Alicia Glenn. "There are no guarantees. There is a lot of risk involved," Barasch admits, "but this is the most exciting work I have ever done." 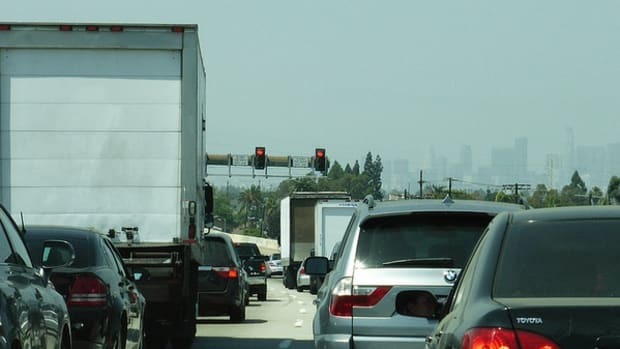 Could Freeway Capping Make the Roads and Traffic Less Awful?